Join us for like our totally rad party!!! 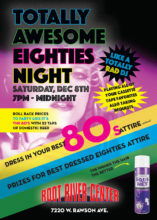 A night of 80’s FUN with music from the era many of us know well. 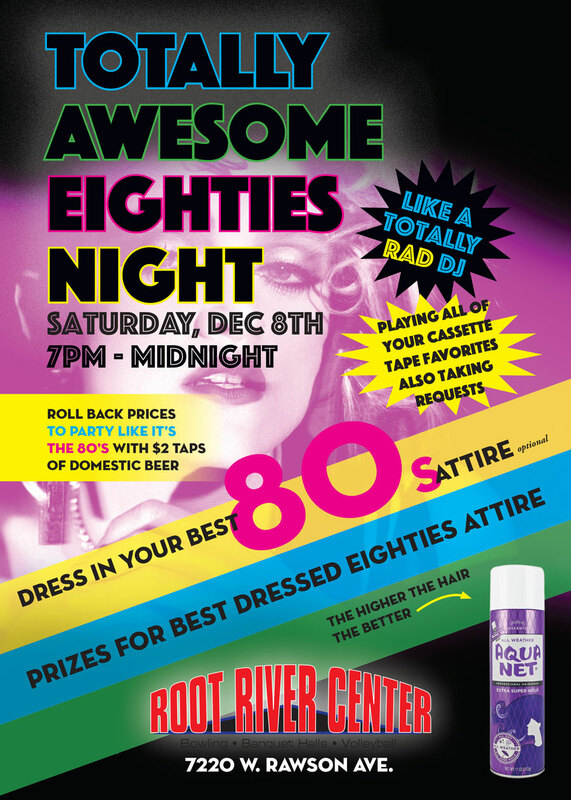 No cover just wear your best 80’s attire (optional) gather up your totally awesome friends and join us for a flashback night of FUN!!!! 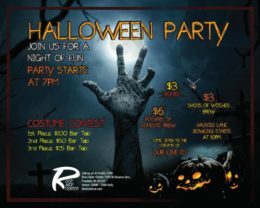 Join us for a night of spooks and thrills!!! Costumes encouraged however your daily one is permitted. Dare to join us? $12 per person for 2 hours of unlimited bowling! 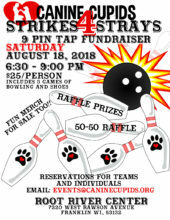 Help support a great organization that does so much in our Milwaukee community & for so many canines!!! Fun, raffles prizes & more!!! 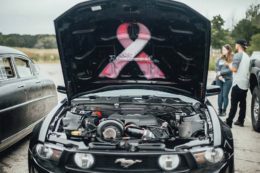 Come join us for a fun car show where 100% of proceeds will go directly to Susan G. Komen Wisconsin! There will be food and drinks, a live DJ, plenty of raffle prizes and of course a ton of cool vehicles to check out! Trophies will be awarded for the top 3 vehicles based on spectator vote. Spectators are free but there is a $10 fee to all vehicles that want to be entered into the car show. There is a discount for larger groups – please message me for details. All vehicles welcome – doesn’t matter the year, color, shape, or size – bring ’em all! If you are interested in donating to the raffle prizes for the event, please contact Greenfield Little League at admin@greenfieldll.com or reach out to a Board Member. Please help support this great event!!! Unable to bowl…. stop in anyway to support a great organization! $10 entry fee to Root River this day/evening which includes great entertainment!!! Wonderful raffle prizes, a 50/50 auction & lots of fun!!!! LeRoy Butler is our FEATURED guest! Special guests: Eric Look Band & Pat McCurdy!!! Don’t miss out! THIS FRIDAY!!! 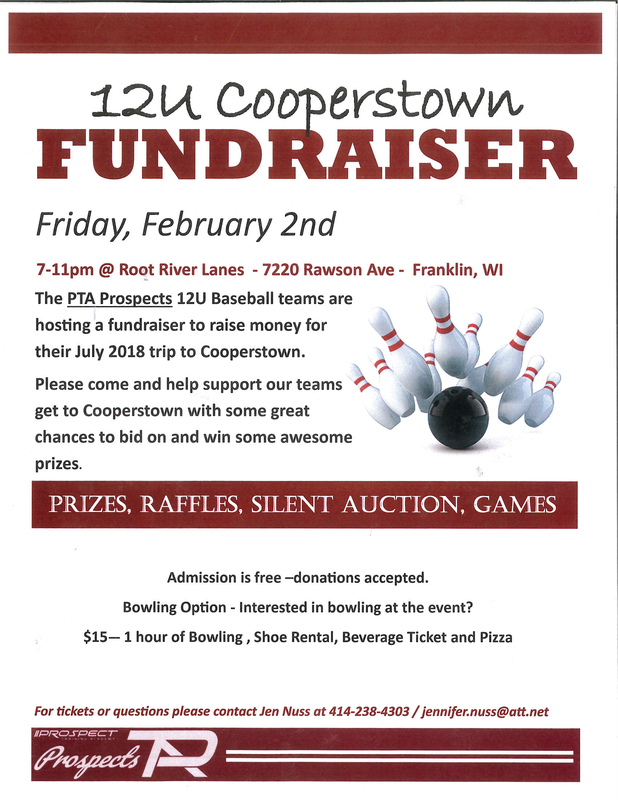 Help support the PTA Prospects 12U Baseball team raise money for their July trip to Cooperstown!!!! 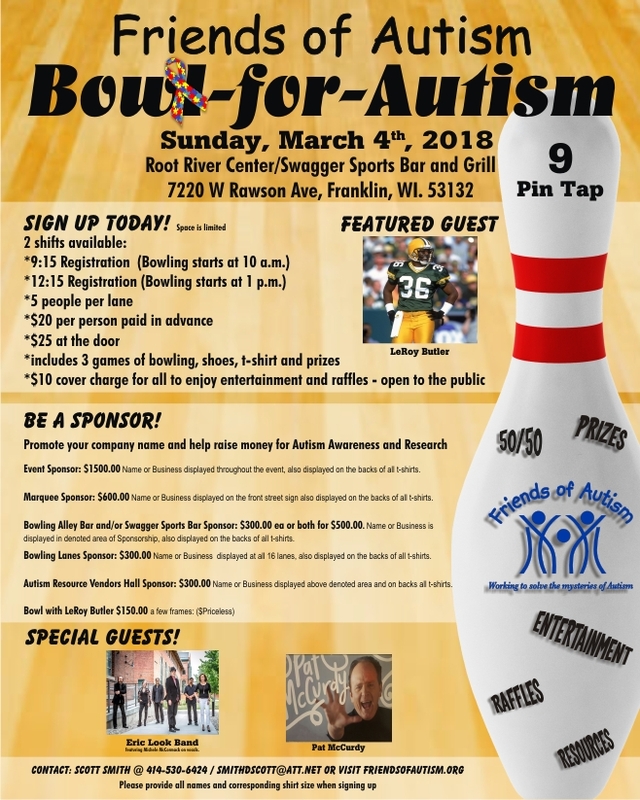 Contact Jen if interested in registering to bowl at: jennifer.nuess@att.net otherwise stop on in and check out some great raffles, silent action & more!!! Advanced Registration Required – Click to register! 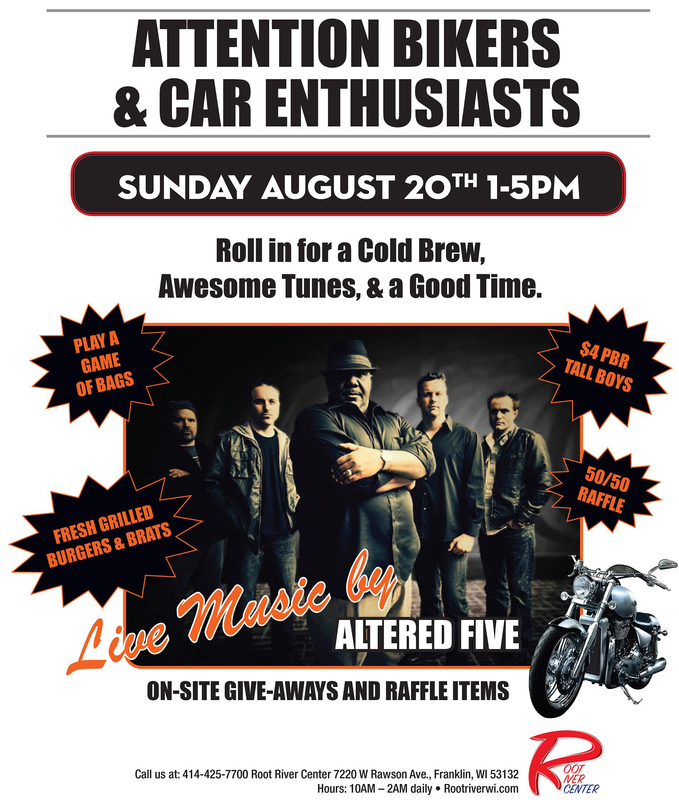 Roll in Sunday, August 20th from 1 – 5PM for Sweet Machine Sunday! Check out some of the nicest machines on 2, 3 or 4 wheels! On-site give-aways and raffle items! 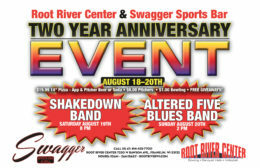 2 Year Anniversary coming up NEXT WEEKEND August 18th – 20th!!! Incredible Food & Drink Specials & $1.00 Bowling! A fun DJ Friday night (belt out some Karaoke if you like), Shakedown Band Saturday night and Altered Five Blues Band Sunday along with a car & bike show! Please join us in celebrating!!! We hope to see you ALL!